I’m back with the thrilling third installment of The Translation Challenge! One major verb-related risk is Latin derivatives. Maybe learning Latin isn’t so pointless after all! Some French and English words, particularly verbs, look very similar and therefore naturally slip from one language to the other: entrer vs. “enter”, recevoir vs. “receive” and obtenir vs. “obtain”. However, although correct translations, the register differs. Sometimes dramatically. While the French versions are used in daily contexts, the English equivalents are somewhat more formal. A more everyday translation of entrer would be “go in”, recevoir becomes “get” and obtenir is “get” (for a change)! What this means for translators: think carefully about the register (level of formality) of your verbs. If in doubt, opt for a simpler, more conversational version – this often involves prepositional verbs like “go in” and “get on”. 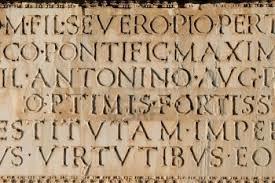 Obviously, if the translation is more formal, feel free to keep the Latin-derivatives! The French like, or at least tolerate, long sentences. French translations are usually 15-20% longer than the English original. Unfortunately for translators, English is a little less forgiving. Avoid complicated grammar structures and long lists with sub-clauses. 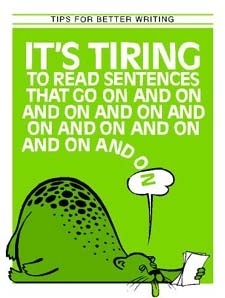 Yes, this even applies to much literary prose. The more brackets, commas and semi-colons you add, the more likely you are to lose your reader. What this means for translators: don’t be afraid to change the syntax and break up long sentences. In general, what matters is keeping the same meaning and sounding as natural as possible. Obviously, if the sentence structure is a stylistic choice designed to create a specific effect, see if you can compensate with an English equivalent. Sometimes, long sentences can work, but err on the side of caution. Details matter. And, punctuation is no exception. 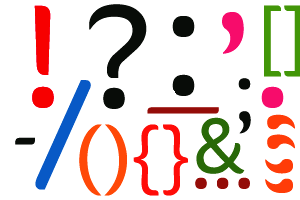 Although most French and English punctuations rules are the same, slight variations may slip by unnoticed to all but the most eagle-eyed. Time to brush up on those colons and commas! Make sure you remove all the spaces before colons, semi-colons & questions and exclamation marks. Don’t go overboard with ellipsis. The French love to trail off…to add a little mystery! In English, we’re much more likely to use a hyphen or a good old full stop. Thirdly, think carefully before copying a French colon. They are used far more frequently in French to introduce anything from direct speech to quotes, explanations and conclusions. Ce film est très intéressant : c‘est un classique. What this means for translators: proofread your translation with an eye for punctuation details, paying special attention to the 3 tips I just mentioned. Over the last few week, we’ve covered a range of translation challenges – from nouns to wannabe translators – and you’re now ready to take on that French text! Before you get stuck in, remember the golden rule. The English version should read like an English text and not a translation. I always set the text aside and go back to it the next day with fresher eyes. I sometimes even read the text out loud to see if it sounds natural.